We’re not sure kids can ever be ready for this sort of thing. 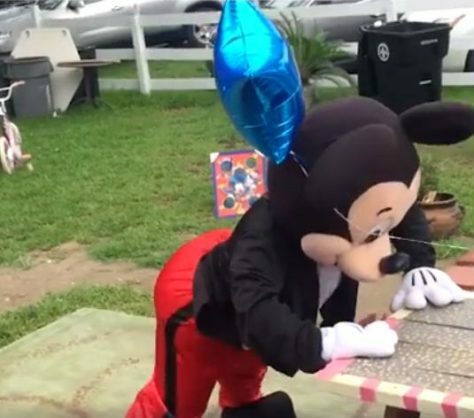 Mickey Mouse wasn’t afraid to drop it low at a children’s birthday party. In the video, the kids attending the party appear to be appalled by Mickey’s dance moves. In the hilarious video, the mascot starts twerking at a kids’ table, then proceeds to twerk at the jumping castle, giving the kids a clear view of his behind and twerking skills. The party took place in New Orleans, Louisiana, in the US early this year. The DJ played a bounce song and Mickey Mouse put on a great show.